September 11, 2013 Ground Zero. New York City. 1 PM. "The victims of the largest and bloodiest jihadi attack on the homeland in U.S. history had a voice today. 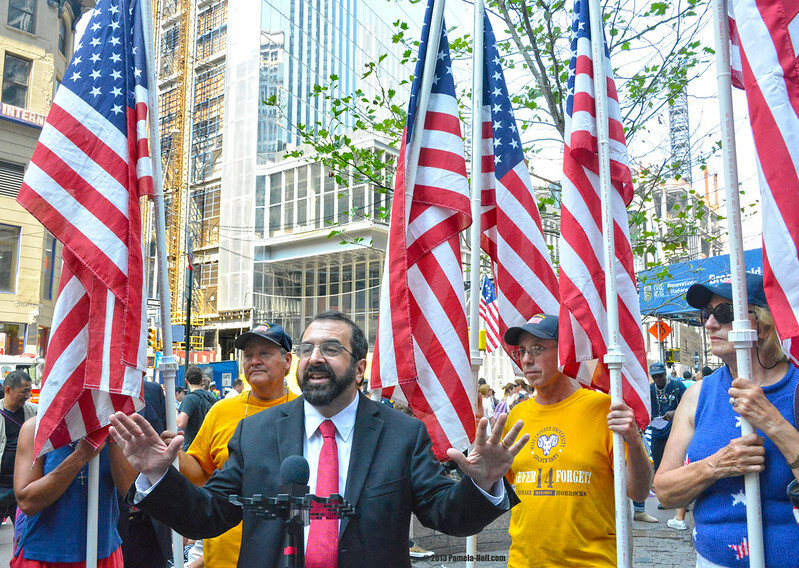 The American Freedom Defense Initiative held a press conference at Ground Zero, on the twelfth anniversary of the 9/11 jihad terror attacks, despite the fact that the NYPD refused repeated requests for a permit. 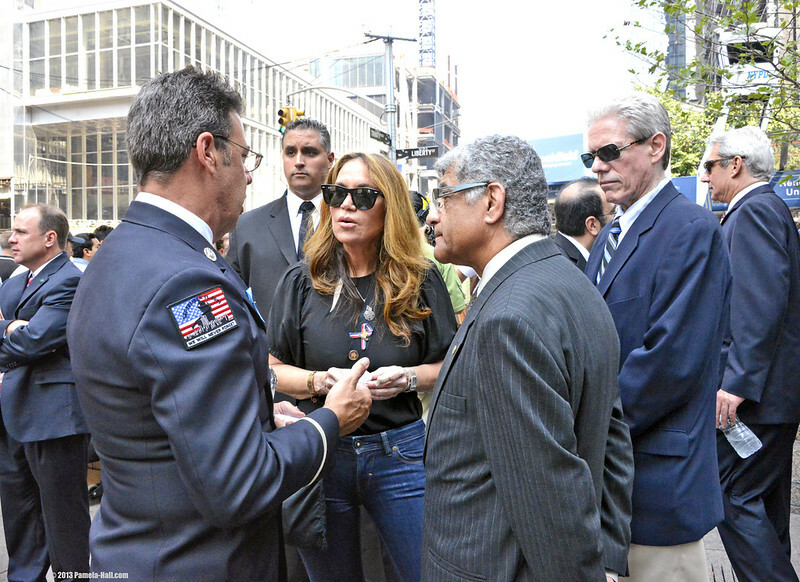 The press conference was hosted by AFDI's (American Freedom Defense Initiative) Executive Pamela Geller and Associate Director Robert Spencer. 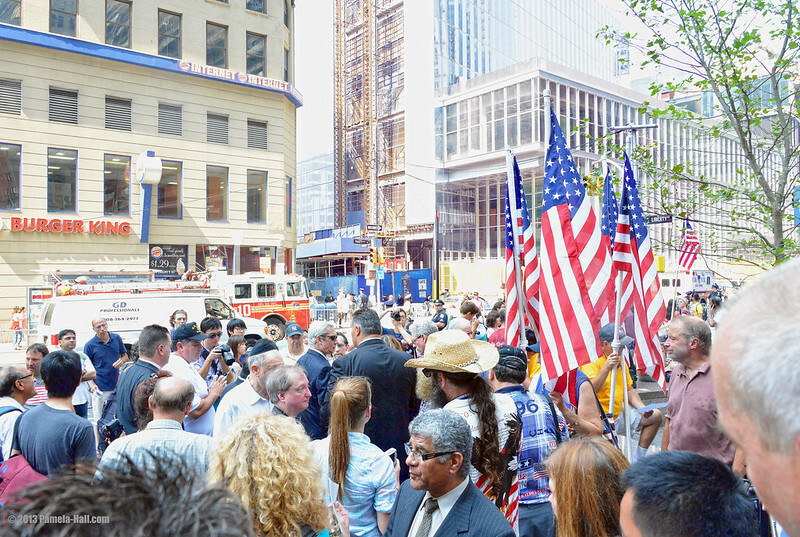 A joint press conference and memorial service at Ground Zero held by AFDI, a human rights organization, a group of 9/11 family members, and noted human rights activists. 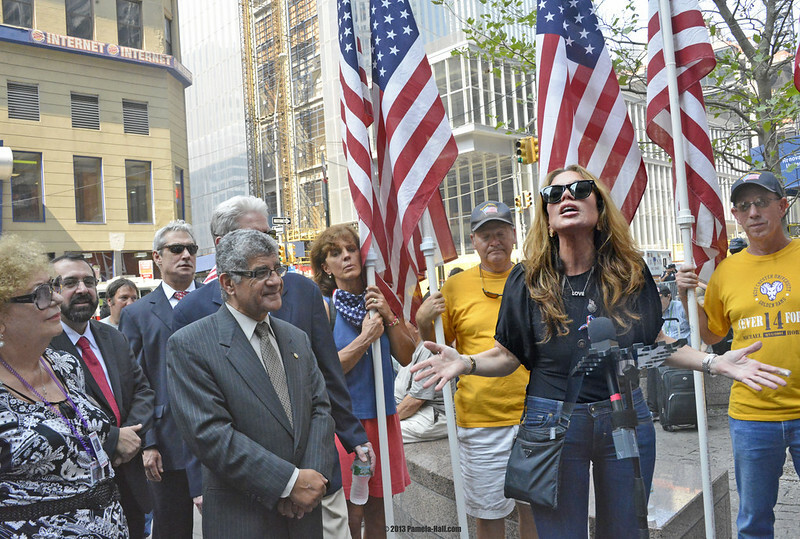 A large crowd of several hundred gathered as an all-star roster of patriots spoke and moved the crowd to action over the scandal of the 9/11 Memorial and Museum, which glorifies the terrorists and trivializes the victims (by charging) an admission fee to view the remains of the unidentified victims which are to be dishonorably housed seven feet below ground. Joining Geller and Spencer as featured speakers were 9/11 family member Nelly Braginsky, 9/11 first responder Alan T. DeVona and Coptic Christian human rights activist, Ashraf Ramelah. Part 2-VIDEO-Robert Spencer, Assoc. Director of AFDI, took up the theme of "the denial of the reality of jihad and showed its human cost, exposing how the FBI dropped all mention of Islam and jihad from training materials, leading to the FBI's disastrous disregard of intel from Russia that could have headed off the Boston Marathon jihad bombing." Part 3- VIDEO-First Responder, Alan T DeVona, "a Port Authority Police Sergeant on duty, September 11, 2001. De Vona spoke with smoldering and impassioned eloquence about the obfuscation and denial regarding what really happened on that day." Part 4-VIDEO-Pamela Geller introduces Nelly Braginsky, a 9/11 family member, "whose only son Alec was murdered in the Towers on 9/11, spoke about how the 9/11 Museum has been hijacked by politically correct Leftists who are anxious to cover up the jihadist nature of the attack and denigrate American patriotism and have made the Museum into an insult to Americans rather than a memorial." Relating to the video: Correction re 9/11 victims families being charged an admission fee to the 9/11 museum. The museum's website says victims' families will not be charged a fee. Part 5-VIDEO-Ashraf Ramelah, of Voice of the Copts, is a Coptic Christian Human Rights Activist. " He explained with vivid intensity about what is in store for non-Muslims in America if we continue on this path of accommodation and appeasement, showing that what is happening to the Copts in Egypt is what is coming to the U.S."
Part 6-VIDEO-Pamela Geller Closing Remarks It was a solemn but triumphant day. 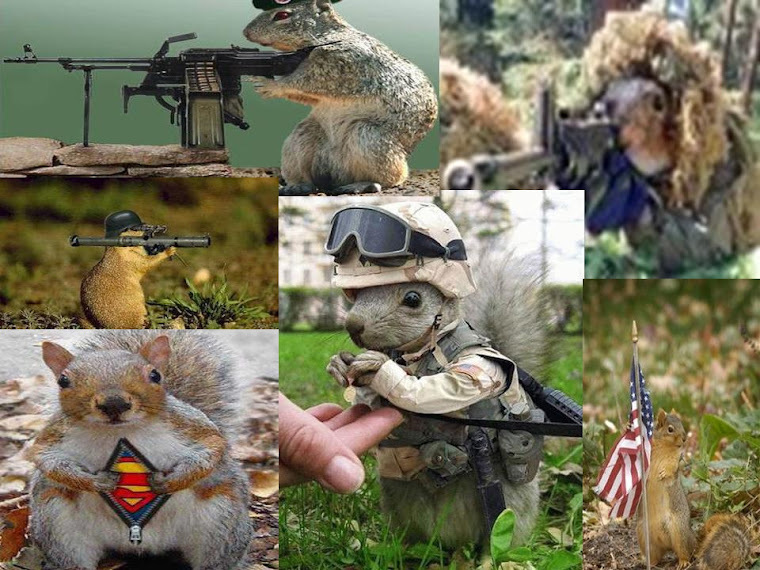 "We are unbowed, we are resolute, and we are determined. We will never give up, and never give in. 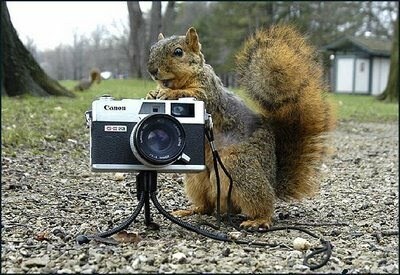 Freedom will prevail."